Mobile Responsive Website Design, Romiley, Stockport, Manchester, Cheshire. 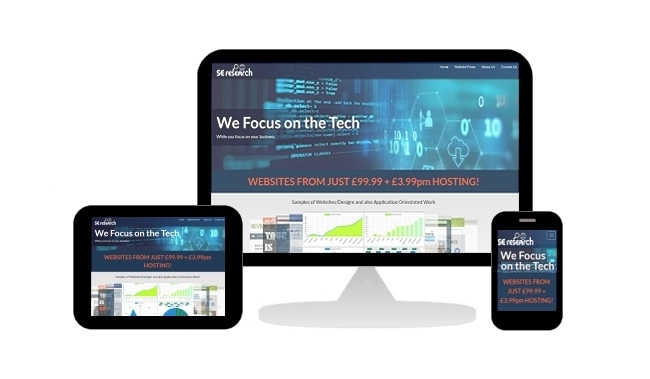 A Five Page, Mobile Responsive Website as below - £99.99 + £3.99pm Hosting. A Home Page, Contact Us form and Three dedicated information pages about your business. For many information based websites this is more than enough, however if you need more Info pages, we can create upto a total of 18 at a cost of £25 per extra page. To take immediate advantage of this offer, simply send us a quick message using our contact form via the button below and we we'll get right back to you. How Long Before Your Site is Up and Running? For a Standard Five Page Website - we aim to have you up and running within 10 business days from the point at which all site copy and images are ready and in our possession. We WILL be Communicating with you Throughout the Whole Development - refining the display, tweaking the features and confirming requirements is a cyclic process, you will always know where we are upto. What's Included for £99.99 + £3.99 Hosting? Home Page - the custom designed 'Index' page of your website - your visitors will tend to arrive here first. Upto Three Info Pages - each custom written, describing the products and/or services you offer. A Contact Us Page - a specially designed entry form allowing your visitors to enter their queries and get in touch. We can place up to 10 entry fields on this form to allow you to collect more information should you need to, at no extra cost. Mobile Responsive - your website will automatically detect the size of the device it is being viewed on and re-scale all of the components. By doing this it remains easily readable by your visitors no matter how small their screen is. Email - we will provide upto Three email boxes for your domain and upto Three additional forwarders. Bandwidth - we will provide you with 10GB per month Bandwidth - we can increase this as your site traffic grows for a fee subject to traffic volume evaluation. Payments - integration of Paypal BUY NOW buttons - £50 for the first button, £5 for each thereafter. We can discuss more complex cart and payment configurations if required. Additional Info Pages - extra information pages (first Three are included) can be provided for those websites needing deeper or wider content. These are £25 per page. Scrolling Carousel - similar (but configurable on request) to the one you see on our Home page, with upto 9 rotating images - £30 per carousel. 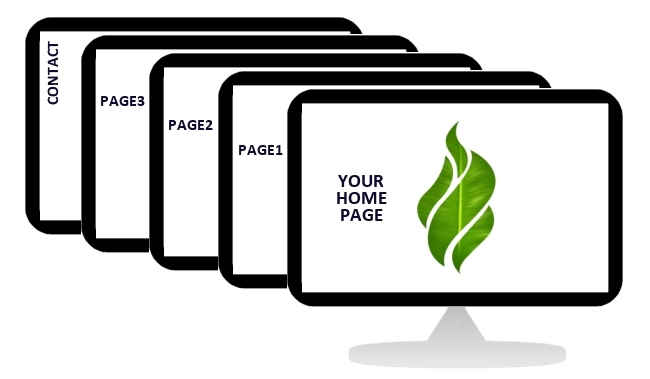 For Each Page - we will need you to provide the text you want to show your visitors. We can proof read, include extra words for SEO etc, but naturally we need your input to describe exactly how you want to convey your message. For Each Page - we will need your images. They might be photographs of yourself, your business premises, your products or a representation of your service - they may be artwork or logos - whatever you want on your site, you can send to us for inclusion. Social Media - if you have accounts on social media websites such as Facebook, let us know so that we can link to them from your pages. To take immediate advantage of this offer, simply send us a quick message using our contact form via the button below and we'll get right back to you.